Kitchens can be a mess. We all know it. From small gaps between tiles to the nasty oil stains and discoloration, the list of possible damages is endless. To make the kitchen functional, look attractive and clean, adding a backsplash is the easiest and the most inexpensive solution. Why your Kitchen needs maintenance? The kitchen is the breeding house for diseases if not created and maintained properly. The heat, the moisture and various environmental components usually contribute to microorganism growth. This can pose a serious health threat, increasingly so for families with both infants and toddlers as their immune system is not strong and they tend to expose themselves unknowingly leading to detrimental side effects. This could lead to both infections and autoimmune conditions. Paint and wallpapers are porous materials. Wallpaper, much like normal paper, contains starch and fibers. In case of a microorganism infestation, the organisms can easily start breaking down this starch and can keep multiplying in the grooves and crannies of the paper fibers. Paint, on the other hand contains a lot of harmful substances. The kitchen if painted becomes non-functional for days until it dries and the smell of the paint has worn off. Moreover, the smell dispenses in the air and your entire house could smell like paint. Backsplashes, on the other hand are made of solid materials which impedes microorganism growth. It reduces the chances of microorganism growth and therefore a better solution than either of the options mentioned above for a low-maintenance kitchen. Not to forget, they come in various colors and prints which adds an aesthetic touch to the interiors. For those who want low maintenance kitchens, investing in remodeling the kitchen is the best way to go. However, renovation of kitchen to make them low maintenance does not have to burn a hole in your pocket. Budget-friendly options to suit your needs are available in a variety of materials including tiles, marble and granite. Adding a backsplash is not a layman’s job. It needs knowledge of the materials, several power tools and a keen attention to detail. Luckily, various small and medium sized enterprises offer customized services for backsplash installation services. One quick search on Google and you will find numerous home remodeling contractors in your locality. While there are so many options out there, it can get overwhelming to find contractors according to your needs and budgets. Nevertheless, to ensure optimum quality, it is necessary to do a little research on their previous projects and background to know more. 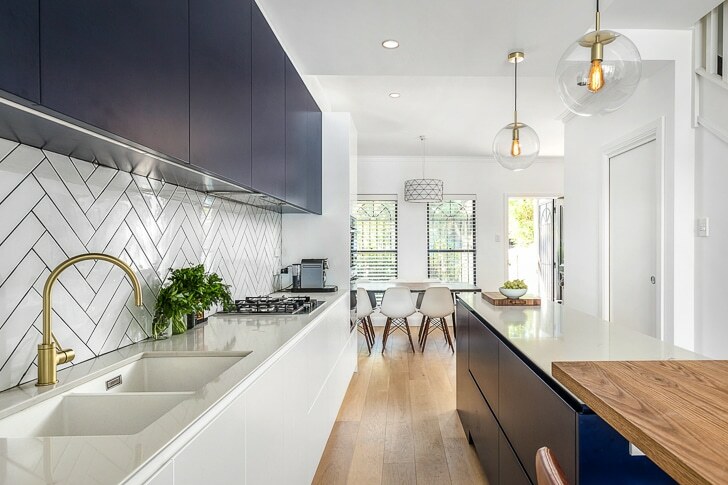 Advantage Home Contracting, previously called Advantage Handyman Services in Virginia is a family-owned business with expertise on the technical know-how that can offer backsplash installation or remodeling services with the quintessential creative touch without breaking your banks. Not to forget, we have numerous accolades and A+ ratings on accreditations in the same field. Our home remodeling specialists schedule an appointment with you to visit the place, take your inputs and then come up with a custom-made solution for you depending on your budget. Once both the parties have agreed to the same, we continue with the renovation and deliver the place back to you in the shortest time span possible. Additionally, we also provide pointers on maintenance of the place which will help keep the facelift you just gave your kitchen intact. Visit Advantage Home Contracting now to schedule your appointment and avail our services now!